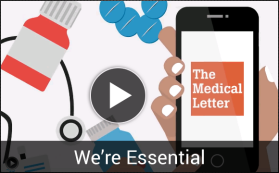 Subscription to The Medical Letter | The Medical Letter, Inc.
Our editorial process relies on a consensus of experts to ensure the information in our articles is presented in a balanced and scientifically supported manner. For corporate and institutional use. Discover potentially life-threatening interactions. Subscribe to Drug Interactions from The Medical Letter. Want to stay organized? Get a personalized Binder to hold your newsletters.